You'll get immediate access to a variety of resources pre-loaded into the vault, and we will continue adding new resources every month. There’s a ton of info in tons of different places. 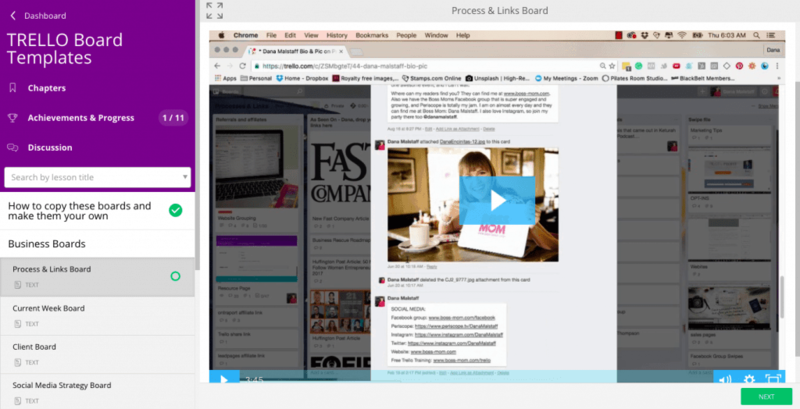 I want you to have one trusted place to get good content to help you run your business. When you're trying to figure things out, you can log into the vault and I find answers. You'll have a place to go that has answers you trust, which means you get things done quicker, make money faster, etc. You have a business that's relatively young and you want to raise it the right way, every step of the way. You need trusted resources to help you do that. I'M HOOKED! SIGN ME UP FOR THE VAULT! But wait….have we had the pleasure of meeting yet? Hey there, I’m Dana! I’m a mom of two, author, podcaster, business and content strategist, blind spot reducer and movement maker living in sunny San Diego, CA. A few years ago I started Boss Mom because I was sick of feeling guilty for wanting to nurture a family and raise a business at the same time, wondering if maybe I couldn't be a good mom if I didn't want to stay at home and be with my kids 24/7. When I finally realized that being an entrepreneur actually makes me a better mom because I’m staying true to myself and pursuing my passions, the world began to open up. I realized that it's not our job to sacrifice our lives for our kids, but instead to show them what a good life lived well looks like. I launched the Boss Mom brand with my book Boss Mom: The Ultimate Guide to Raising a Business Nurturing Your Family Like a Pro in 2015 which hit #1 in its category and never looked back. Now, with over 10,000 students in various courses, a 20,000+ community, over 100 coaching clients, and over 10 years of experience in behavior modification, content creation, community building, and business strategy, Boss Mom helps women each and every day learn how to grow their online businesses while getting the support and connection they need. What if I have already bought a course that is available in the Boss Mom Vault? Yay, you already have access to something cool that is also available in the Vault. There is a lot of awesome content that is available in the Vault and we will continue to add more each month. The pricing does not change for the Vault, and we promise to continue to add value. Is there a private Facebook group that goes with the Vault? 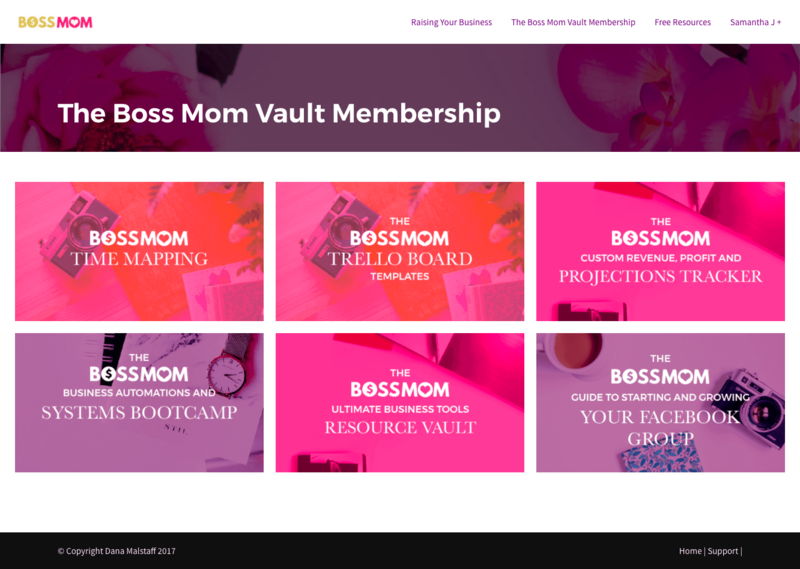 We do not have a private community for the vault, that is reserved for the Raising Your Business and Boss Mom Academy programs, but we do promise to support you through our open Boss Moms group and you will be able to make requests and ask for support through email. You can quit at any time. We will simply stop your payments going forward. Remember that you will lose your grandfathered pricing, but you can always come back at any time at the higher pricing.